Our Hemp WoMan: Art is typically conceived, designed, created and then displayed providing everyone with their personal interpretations of that creation. We have built a life-size WoMan from 100% hemp stalks and hemp twine representing Mother Nature dominated by mankind. Our Hemp WoMan is envisioned to be a symbol to end our fossil-fuel dominated world and the reemergence of a modernized plant-propelled planet. This idea was first conceived at Burning Man 2017, with the vision of designing and building a 60-foot hemp man to be burned at a future Burning Man celebration. Months later, this initial idea was taken to new heights with the conception of our WoMan. The design of our life-size WoMan is based on the human skeleton. The backbone and the largest bones in the body are made from hemp stalks compacted and tightly tied together. Now, a life-size prototype or study of a 60-foot WoMan has been designed, created and is being displayed at upcoming events From Colorado, to California and then to Nevada to help galvanize a movement amongst like-minded people to bring positive changes to our world. Beyond our WoMan: We envision and invite hemp-dominated art to be crafted and shared with others in our growing hemp community. To accompany our WoMan, walls have been built using 100% hemp stalks and hempcrete. A hemp stair case and tables have also been created. All artists are called upon to create hemp art in any form or fashion to share their masterpieces with others. Effigies and Ceremonies – Burning Hemp Art: We estimate it will take two years to assemble the people and resources as well as to define the logistics of constructing a 60-foot hemp WoMan. On a yet-to-be determined date in 2020, we plan to burn our WoMan and other sacrificial hemp-inspired art that will be created from people at events all over the world. Events will be held in unison and solidarity to represent the transition away from an oil-based society to a bio-based society. The Art of Art: There are countless examples of artists that help define different points in time. Creating and sharing all forms of art has been, is, and always will be, an essential part of human nature. The creative minds composing, recording, and playing music. The singers, dancers, comedians, actors and all the people behind the scenes involved globally in the entertainment industry. The inventors and engineers drawing and designing new inventions. The artists, sculptors and photographers, creating and capturing moments. The list goes on and on. Be creative. Share your creativity. Learn from others’ creativity and elevate the entire artistic experience. If you are moved to create hemp art, please contact jeff@purehemptech.com to coordinate art submission and/or event information. Along your hemp art journey please use hashtag #PureHempArt on any social media platforms you may partake in. We would love to see your art come to life and possibly be featured in our newsletters. Help Choreograph an Incredible Future: Let’s learn from the past to make a brighter future. For centuries, fiber from the cannabis plant was used to manufacture sails for ships and fabrics for clothes. Support developing hemp refineries to provide existing and new products into the marketplace. There are enormous opportunities with creating lines of hemp clothing, carpets, draperies and countless other products. Create your own hemp recipes, your own line of organic hemp foods and hemp beverages. Let’s join together to work, eat, celebrate, sing, dance and praise hemp, in every possible way, to make Perfect Vision 2020 a reality! Leadership: During the 1930s, business leaders paid lobbyists and politicians to outlaw the cultivation of hemp. In the U.S., Colorado voters were the first to legalize hemp, going against federal laws. PureHemp Technology (“PureHemp”) has been processing hemp in Colorado since the first legal harvest in 2014. During the past four years, PureHemp has been working with other companies and technologies to advance the hemp industry. PureHemp’s whole plant utilization strategy includes scaling up PureHemp’s advanced refining technologies, working with existing and new technology companies developing, mass producing and marketing hemp-derived products. PureHemp’s ultimate mission is to develop hemp refineries to replace unsustainable levels of oil refineries. We continue to seek strategic partners, clients and investors. Send an email to info@purehemptech.com and provide high-level concepts of how a business venture with you might work. Collaborations: PureHemp has participated in successful technology and product development collaborations with large and small companies as well as universities. To highlight a few examples, after a successful proof-of-concept program, PureHemp continues to work with a Canadian company to develop a beer made from 100% hemp-based sugars carefully crafted and fermented into a delicious libation. We are teaming up with another client to convert hemp sugars into plastics. Tens of thousands of products can be profitably made from hemp pulp, lignin and sugars produced using PureHemp’s proprietary Continuous Countercurrent Reactor (“CCR”) technology. PureHemp welcoms collaborations with other hemp-inspired technologies and people to move the hemp industry forward. Research & Development: PureHemp has a rich history of achieving milestones, on budget and on time for contract R&D projects. We provide well-written reports based on actual and verifiable processing data. We offer attractive intellectual property (“IP”) arrangements, often involving conveyance of licensed technology and shared IP to commercialize hemp-based products and processes. Technology: PureHemp’s core proprietary hemp refining technology are CCRs. Unlike competing technologies, the CCR economically removes lignin and sugars in minutes from the hemp cellulose fiber, creating pulp. The pulp, lignin and sugars will be used to manufacture next generation of biomaterials for many industries. We have developed other hemp processing technologies including a thresher that rapidly separates the three fractions of seeds, extractable flowers and stalks & stems from the whole dried hemp plant. Let’s All Come Together: The Hemp plant, Cannabis Sativa L., is a mighty unifier. There are few things on this planet that can bring people together the way this plant does. Hemp is a force of nature that not only can build healthy communities but can cause communities to become more vibrant when its natural healing properties are present. Hemp is not only a great builder of communities, but it is universally adaptive and can cloth, feed, heal and shelter all. Thank you for your interests in staying connected as we, the hemp inspired, come together to change our world for the better. The First Step: Perfect Vision 2020 is an important call to action to become an active hemp advocate. We present this platform for you to join and get involved intimately with the hemp movement. If you are passionate about hemp and serious about making a difference to create a cleaner environment and a healthier future, please join us by staying connected to this hemp movement. Your first step towards hemp advocacy and staying connected with this growing movement is to sign up for our monthly newsletter and follow our social media efforts for news and updates regarding the rapidly evolving hemp industry. If you have a greater desire and/or means to participate by investing whatever you can to promote our important hemp vision, please consider becoming a donating member at (link to investment opportunities). Together, working in lock step, with this beautiful gift from nature, many great things are possible. It is up to us to realize the enormous potential of Cannabis Sative. Join us! Donate: $100/yr — $1,000 per year. Make a Commitment — Be proactive: Invest some of your time and resources to advance and manifest Perfect Vision 2020. Stay connected as we all work together to accomplish an amazing common goal. Work with other non-profits, foundations and educational organizations to create a modernized bio-based economy. In an environmentally safe and profitable manner, manufacture, market, and sell hemp-based products. PureHemp ICO: PureHemp is evaluating an Initial (crypto) Coin Offering (“ICO”) during 2018 to provide a financing platform for the hemp industry and to scale up and deploy its leading-edge hemp-refining technologies. The PureHemp ICO is being advanced to scale up PureHemp’s hemp conversion technologies for global deployment, develop organic hemp farming and hemp processing facilities, and to accelerate product development and marketing initiatives. Thanks for your interests in learning about and working with us to move our important vision forward! 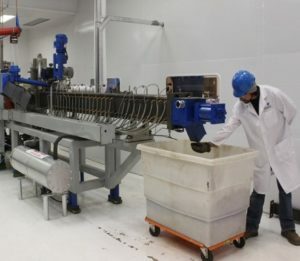 Hemp Refining Technologies: The first comprehensive hemp refinery is being designed now, and will employ state-of-the-art technologies to convert hemp seeds into organic hemp oil and meal, and the stalks into hurd, fiber and other products produced to specifications. To complement these off-the-shelf technologies, PureHemp will provide its advanced biorefining technology to process hemp stalks into value-added products. Instead of developing an estimated $1.8 billion oil refinery, during the next 8 years, we are going to develop an estimated $180 million hemp refinery and duplicate many of these hemp refineries on all continents. After 20 years of research and development (“R&D”), and based on solid data at the ½-ton per day (“t/d”) scale, PureHemp is preparing to launch its novel and efficient Continuous Countercurrent Reactor (“CCR”) technology. Hemp stalks that are continuously conveyed into the CCR traveling in one direction are subjected to a constant wash of hot liquids (or reagent) traveling in the opposite direction, under elevated heat and pressure, creating a continuous countercurrent reaction. The CCR separates the primary fractions of the hemp stalks very efficiently and within minutes. Even with 20 years of R&D under our belts, this advanced technology is at its infancy. Meaningful data generated by PureHemp is available for due diligence experts. Capital is needed to scale up the CCR technology from the current scale of our ½-t/d pilot plant to a 4-t/d commercial demonstration refinery. The 10-year strategy is to scale up and prove out the CCR technology at the 4-t/d scale by 2020, followed by the 40-t/d scale by 2023 and the 250-t/d CCR by 2026. Once proven at the 250-t/d scale, by 2027, any size hemp refinery will be able to be deployed anywhere in the world. Lignin to become one of the primary raw materials to produced degradable plastics (CCR). 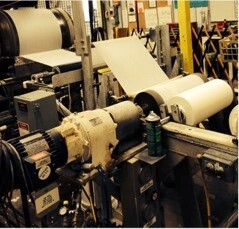 The images above show pulp made from PureHemp’s ½-t/d CCR, subsequently processed into test products at a client’s tissue testing laboratory, and wheat straw paper towels and T.P. made from the CCR pulp, displayed in PureHemp’s Board Room. The following summary is not intended to be an essential component of PV.2020. The PureHemp business plan will not focus on PV.2020. It will focus on financing an innovative technology that has been proven at a pilot scale and is ready to be deployed and commercialized. Phase I – 2018: PureHemp will continue to operate its CCR at its HQ in Ft. Lupton, CO and continue to produce the following products from hemp with our ½-ton per 24 hrs. (“t/d”) CCR: Pulp, paper, beer, ethanol, lignin, xylose and xylitol (“CCR Hemp Products”). In addition to operating the CCR and producing CCR Hemp Products, PureHemp is involved with other hemp-based initiatives that include processing, producing, marketing and selling full spectrum cannabinoid-based consumer products, hemp stalk decortication initiatives, conducting R&D on hemp-based building materials, and defining technical pathways to produce plastics and chemicals from hemp stalks. Based on years of the PureHemp staff developing process and economic modeling data, the CCR technology is sustainable, carbon neutral and can be profitable at a scale of at least 30 t/d. After another six months of additional operations and data collection at PureHemp HQ, by the 4th Q of 2018, PureHemp will be ready to procure the necessary components to develop the world’s first small commercial 4-t/d CCR and demonstrate the incredible attributes of the CCR technology. During Phase I, with three different locations currently under review, the specific location where we plan to build our first industrial-scale hemp refinery will be finalized. Phase II – 2019 & 2020: PureHemp will assemble, set up and shake down the 4-t/d CCR at PureHemp HQ. Meanwhile, improvements will be made at the hemp refinery project site. After the 4-t/d CCR is built and shaken down in Ft. Lupton, CO, the CCR will be relocated to the selected site of the hemp refinery. The plan is to begin producing, marketing and selling CCR Hemp Products using this commercial demonstration hemp refinery starting in 2020. During Phase II, significant data will be generated and plans to develop a 40-t/d CCR will be in full force. Phase III – 2021 – 2024: By 2021, the 4-t/d refinery will be operating around the clock and the components to develop the 40-t/d CCR will be procured, assembled, shaken down and started up at the same site by 2022. 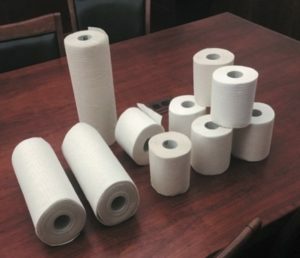 Products never made from hemp before will be produced, marketed and sold. People and companies will embrace the everything hemp movement, as this is all about making a significant change for the better. By the end of Phase III, the 40-t/d CCR will be running smoothly and the design of the 250-t/d CCR will be finalized. Phase IV – 2025 – 2027: By 2025, a single 250-t/d CCR will be built and shaken down. By 2026, this massive industrial-scale CCR will be proven out, enabling any size hemp refinery to be built anywhere in the world. By 2027, we estimate there will be a strong global demand for the CCR technology. This is when the important process kicks into high gear, that of sowing and processing lots of hemp and location-appropriate rotation crops, converting large areas of contaminated soils into healthy soils, cleansing the water and air around the world, while providing vast numbers of green jobs. Please feel free to join us with this important mission. Stay connected. Visit www.purehemptech.com. Seriously: Everyone is one of 7,000,000,000-plus people on our delicate little planet, on the edge of the Milky Way. Goodness gracious! It’s not looking good at all. Industrial-scale hemp refining must be one of the answers, along becoming a carbon neutral planet. Let’s go! Cosmic Bangs: Most of the limitless universe is dark matter, with countless suns expanding into beautiful formations and contracting into black holes. For billions of years, black holes devour galaxies, ultimately leading to another one of the endless big bangs. Embrace Life: Our multi-billion-year existence on earth is perhaps a split second in other relative timeframes. In the grand scheme of things, whatever happens to all living creatures on Mother Earth really doesn’t matter. Regardless, planet Earth is simply a teeny, sacred spot, like many others in our universe, where life has been thriving for billions of years. Let’s try our best to live healthy lives, be great stewards and try our best to have a good time while we share our time on this hallowed planet. Technology: Mankind has evolved into an extremely smart and powerful being. It only takes one or two crazy men to carry out an atomic war resulting in mutually assured destruction of life as we know it. Conversely, we have the brain trust to grow healthy foods and provide nourishing water to all. Renewable energy must prevail while we transition away from burning fossil energy. We can do this now, with wind, solar, geothermal, biomass and perhaps the next big breakthrough. Farming: In the U.S., more than 90 million acres are abused from fossil-based fertilizers to support growing GMO corn and soybeans. We must make a concentrated effort to convert a growing number of these mistreated acres into 100% organic farms and ranches. Call to Action: This is a real call to action. It’s not some guy or gal dreaming up some utopian trip. Everything is at stake. We all must know this. We all know there are genuine people from every tiny corner of this earth that know we must unite and do something at this moment. Do not put this off any longer. Visit Stay Connected. Education: Tap into the diversity of plants, animals and microorganisms that have survived the ages. Learn about life forms that have become extinct, just during the past 50 years. Learn about and share the precious knowledge of perpetuating all life forms on earth.